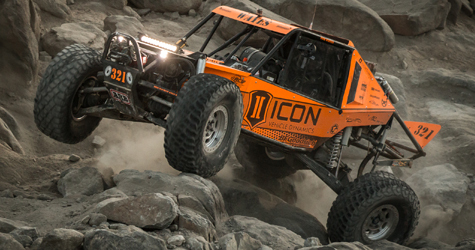 Riverside, CA – ICON Vehicle Dynamics is proud to announce a company-wide level of support for a team of exceptional off-road motorsports athletes for 2015. ICON’s involvement at the top tier levels of Ultra 4 and LOORRS competition is an excellent way for the company to push the limits of its products and put them to the ultimate test. These drivers and teams are utilizing the same parts that are in ICON’s “off the shelf” products, which helps ICON engineers accelerate testing and allows for continuous product improvement based on the successes found on the race track. ICON will be on-site at many of the LOORRS and Ultra4 races, so be sure to follow our drivers and look for Team ICON at an event near you! Tom Wayes is an Alaskan backcountry heli-ski guide turned off-road racecar driver who has found great success in being anything but average. With a larger-than-life personality, Tom thrives in situations that make others shrink in fear. Whether it’s barreling down the snow-covered face of some of the biggest mountains in Alaska strapped into his skis or taming some of the most unforgiving terrain in the country in his LS7 powered Ultra4 car, Wayes has no issue with pushing the limits. 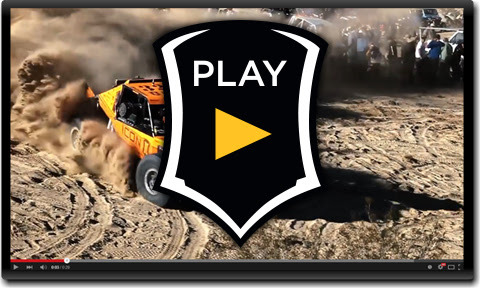 After a valiant effort at this year’s King of the Hammers presented by Nitto Tire, Tom and his team are drawing a bead on the 2015 Ultra4 National Series. Follow along with Wayes and the ICON-equipped #321 machine as he battles for a 2015 championship win! Eric Barron is a well-versed competitor who has seen success in several forms of racing. Growing up, Barron won races and championships in BMX, motocross, and karting competition. As time rolled on Eric immersed himself in dirt track and road racing for a few years until short course off-road made its way to the western US. 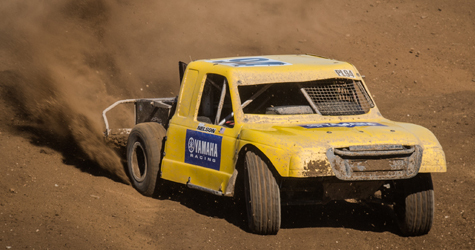 This form of motorsport caught Barron’s attention and after a short time he built his first Pro 4 to compete at the top level of the Lucas Oil Off Road Racing Series. Since then Eric has secured 7 race wins, multiple podium finishes, and is looking to make 2015 a winning year in the ICON-equipped #32 Pro 4. Dustin Nelson is a professional motorsports racer and a Yamaha test rider with a 20-year career topping podiums on motorcycles, ATVs, and side-by-sides. A record holding championship racer, Dustin “Nelly” Nelson has proven his ability to win in several forms of motorsport and is now ready for the next step in his career – the Lucas Oil Off Road Racing Series Pro Lite class. 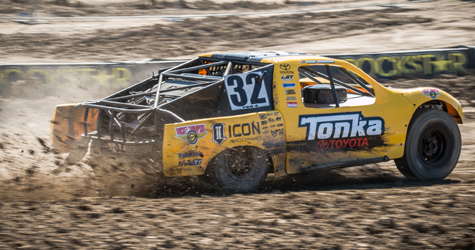 Keep an eye out for the ICON-equipped #94 Pro Lite throughout the 2015 LOORRS racing season. ICON Vehicle Dynamics is a premiere performance suspension manufacturer specializing in aftermarket components for trucks, SUV’s, and off-road racing vehicles. The company’s business is customer-driven, technology-influenced, and engineering-oriented. ICON focuses on world-class manufacturing processes and product development techniques to introduce some of the most advanced components to the aftermarket suspension market. Led by head engineer and SCORE champion driver Dylan Evans, ICON Vehicle Dynamics has the unique qualities to design and build the highest quality suspension components and test them in both real world applications as well as race conditions.